IPTV and Digital signage specialist ONELAN has added more features to the IPTV Omni-Server to create a more powerful product offering, and further establishing the company as a leading player in the Streaming arena. The IPTV Omni-Server is a single box streaming solution for networked delivery and storage of video content via Ethernet networks. It provides a number of key functions within one appliance, firstly acting as an IPTV TV gateway which can take in Digital free-to-air TV broadcasts (DVB-T/Freeview or DVB-S/FreeSat) and re-broadcast out several TV channels onto a network. Any device on the network can then play back the live TV stream using a desktop PC TV software player, or a media player such as a ONELAN Net-Top-Box. A key benefit of this feature is the reduction in RF coaxial cable wiring required. Another important new feature is ONELAN’s ‘multi-unicast’ solution. Many networks will not allow multicast with IT network owners often forbidding multicast products, or at the very least making it very difficult to use multicast. ONELAN’s multi-unicast solution removes this barrier: the Omni-Server can be configured to operate in a mode where it uses unicast only. This can ease installations where the network is not truly multicast ready. The playback experience is the same for the end user but the network is not exposed to multicasts. the landing page for an unprivileged user has changed to include Thumbnail images (updated at 4 second intervals) of each channel. The IPTV Omni-Server is compatible with ONELAN NTB media players, and with its web browser interface is accessible from anywhere on a network. Paris is one of the leading department stores chains in Chile with stores located in all the commercially important cities of Chile, including 15 in Santiago. They are present in Chile´s most important Shopping Malls. Paris is part of Cencosud, one of South America´s biggest retail companies. 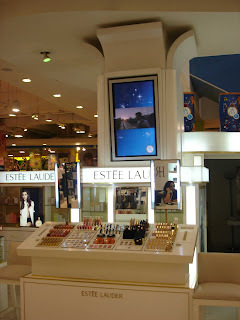 Throughout the stores there is a need for both digital signage and an instore audio channel. Paris had previously been using a windows based digital signage system and a separate instore audio system, but finding both unreliable wanted better reliability and to reduce their ongoing maintenance costs and downtime. Estimated reductions in these justified investment in a ONELAN digital signage system to do both tasks simultaneously on one platform. Reliability is a key requirement for Paris due to the instability in the power supply and intermittent internet connection in Chile. ONELAN was chosen as the Net-Top-Box (NTB) is run on a Linux platform which is both reliable and has an intelligent file transfer mechanism. NTBs only download from the FTP source any differences to the Schedule/Playlist and allow for network connectivity interruptions. NTBs also self start after an unplanned loss of power. For remote connectivity, 3G connections are used. The whole system is based on 1 NTB 615 (Publisher), 50 NTB 500 (subscriber players) and an FTP Server. An average of 1-2 subscriber player NTBs are installed in each store connecting to approximately 15 screens. A Digital Signage network with separate instore music creating a multimedia sales and entertainment solution. The screen content is divided into 3 Zones (1 Advert Video Zone, 1 Video Clips Zone and 1 Text Zone). Adverts are also regularly played full screen. ONELAN is proud to announce that Sam Allen has won the Customer Service Award this year from RM, one of ONELAN’s leading resellers. Sam was chosen for the calm way in which orders are dealt with, especially through the summer when orders were at a peak. Any changes were dealt with quickly and efficiently, which made the experience that much easier. “I think I was more worked up about our customer last minute changes than Sam was. This is obviously a great reflection on ONELAN as well” said Mark Jay of RM. Founded in Oxford in 1973, RM pioneered the use of technology in education. Since then its range of products and services has continued to expand to meet the needs of schools, colleges and universities. RM is now the leading provider of ICT software, infrastructure and services to UK education.